Hi Everyone! This is Elizabeth from 217 Creations. I swear I have not lost my mind. But I have been cleaning up my studio. I found a large stack of half done projects and scrap paper. Most from Christmas and some from Valentine's Day. 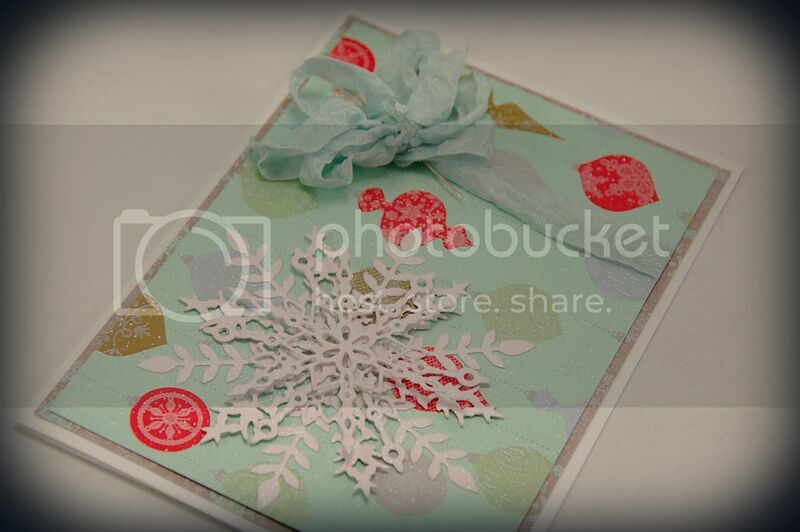 When I saw this half done card, I knew I wanted to play with some Memory Box Dies that I had gotten after Christmas. The card base is Bazzill Swiss Dots. 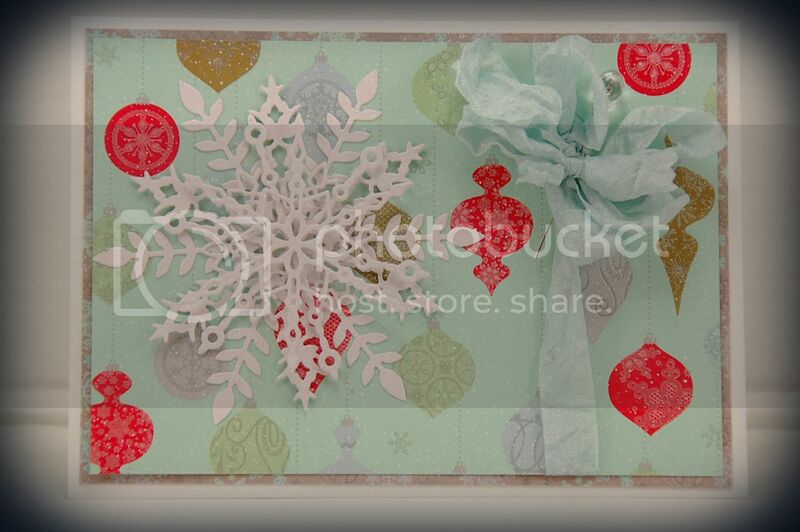 The patterned paper is from Martha Stewart. 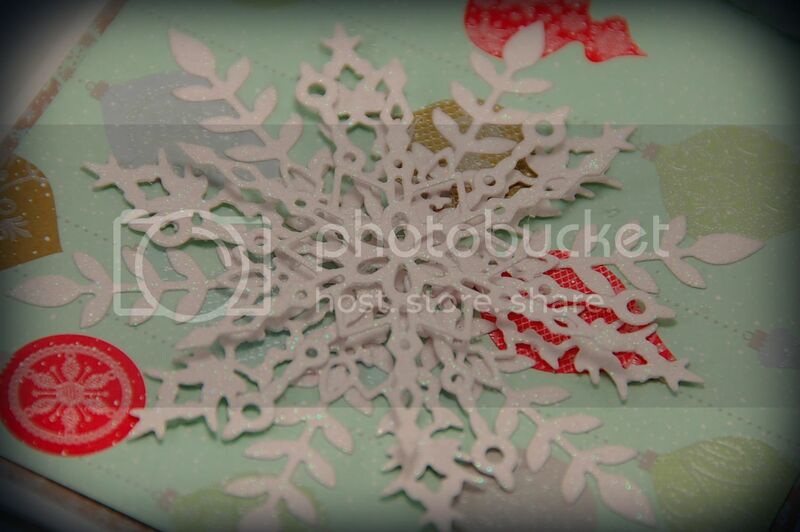 The Snowflakes are actually 4 different dies from Memory Box cut from DCWV Glittered Paper. I used Helmar Scrap Dots to raise each layer. The ribbon is from 3 Girl Jam. I used their bow maker to tie the crinkle ribbon, adding a faceted stick pin in the middle. Have a creative day! As always thank you for taking the time to leave a comment and follow us here at the Bug Bytes and on my personal blog at 217 Creations. What a beautiful card. 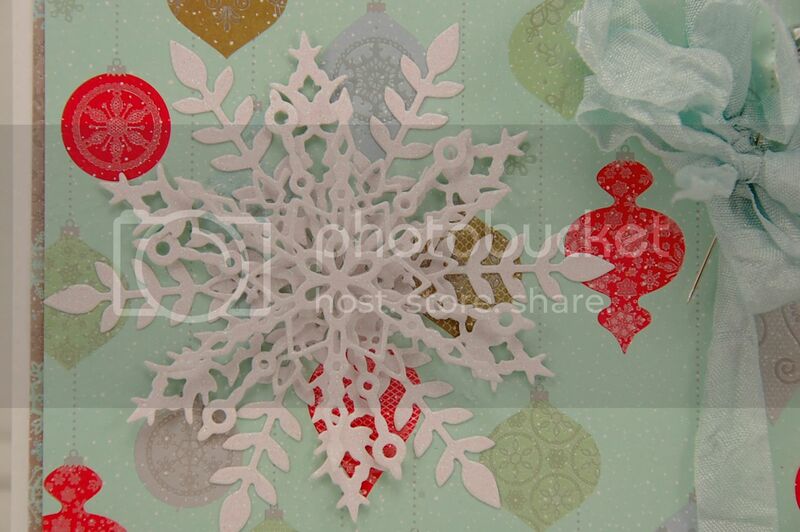 The snowflake looks so dainty. Very pretty.